And it's gonna be available in stores tomorrow! 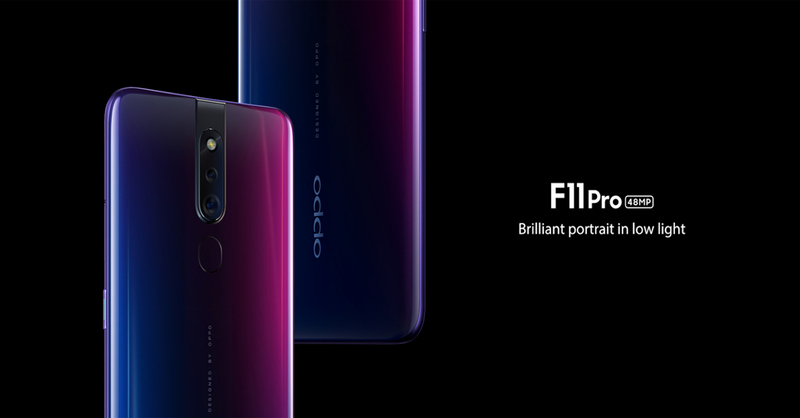 Officially launched in the PH last week, the OPPO F11 Pro is still available for pre-order right now. Better hurry though, pre-orders for OPPO’s latest F-series smartphone is only until today, April 5! The pop-up camera-equipped smartphone packs an impressive 48 MP + 5 MP rear camera setup along with a Helio P70 processor. All this is available for only PHP 18,990. As a bonus for buyers who pre-order the smartphone, each will receive a free rock space MUSE Bluetooth speaker which is worth P2,499. 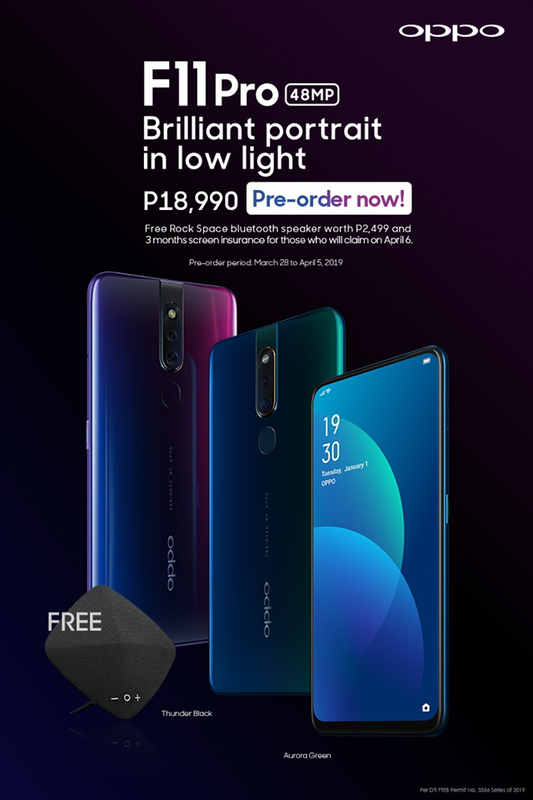 The phone and the freebie will then be available for claiming at all OPPO stores and authorized dealers nationwide starting April 6. The F11 Pro also comes with a free screen warranty if claimed within the day. To make the phone more accessible, the F11 Pro can be bought through Home Credit, where customers can pre-order the F11 Pro at 0% interest, with 9 months and 12 months to pay. Customers can also avail the product with no cash-out, at 0% interest and 12 months to pay with BDO and Metrobank as well. Finally, the OPPO F11 Pro will also be available under Globe via Plan 1499 with no cash out, and Smart exclusive Plan 1099.